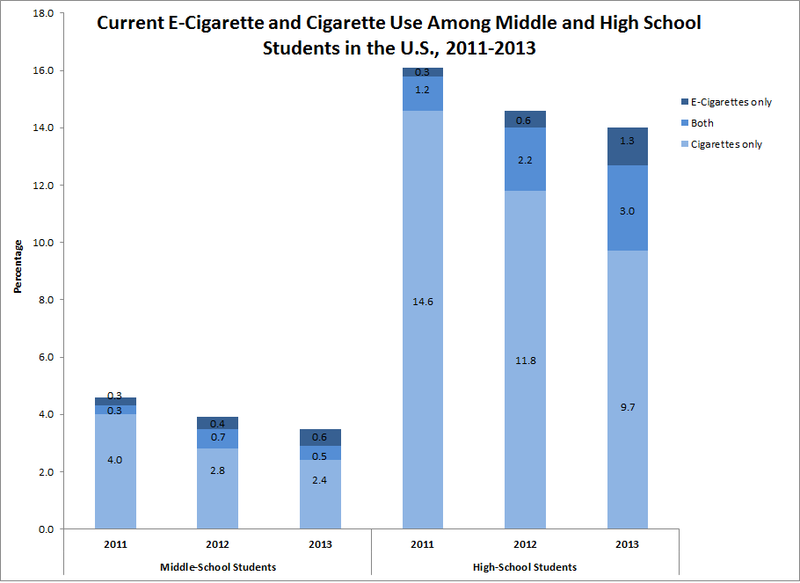 The contrast between the spin put on youth e-cigarette use data last Fall and the story told by the actual data, released last month, is startling but not surprising, given the U.S. government’s over-zealous tobacco prohibition posture. 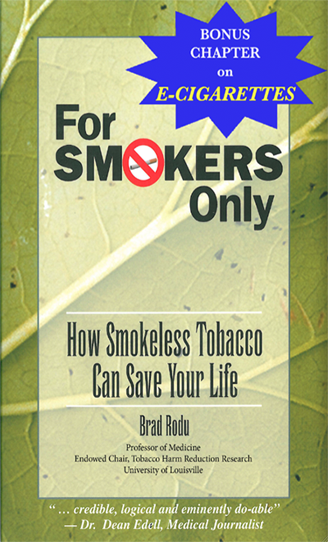 Last November, the Centers for Disease Control released selective information from the 2013 National Youth Tobacco Survey. A resulting New York Times headline was typical: “E-Cigarettes Gain Among High School Students” (here). The CDC withheld the survey data until a couple weeks ago; now the rates of e-cigarette use can be viewed in context with cigarette smoking. The chart at left shows the real story, and it’s stunning. Past 30-day cigarette use (the CDC definition of current smoking) among high school students was 9.7%, a whopping 34% decline from 2011. E-cigarette use increased, as did dual use, but in no way does the data suggest that e-cigarettes are a gateway to smoking among teens. In fact, this chart, along with the Monitoring the Future study I discussed previously (here), indicates that e-cigarettes may be driving teenage smoking down. The CDC regularly misrepresents e-cigarette statistics (here, here, and here). The agency cherry-picks information from restricted federal datasets; the media amplifies the CDC’s spin; and the story cannot be challenged until months or years later when the agency provides access to the underlying data. The public should not tolerate such misfeasance from taxpayer-funded public health agencies.